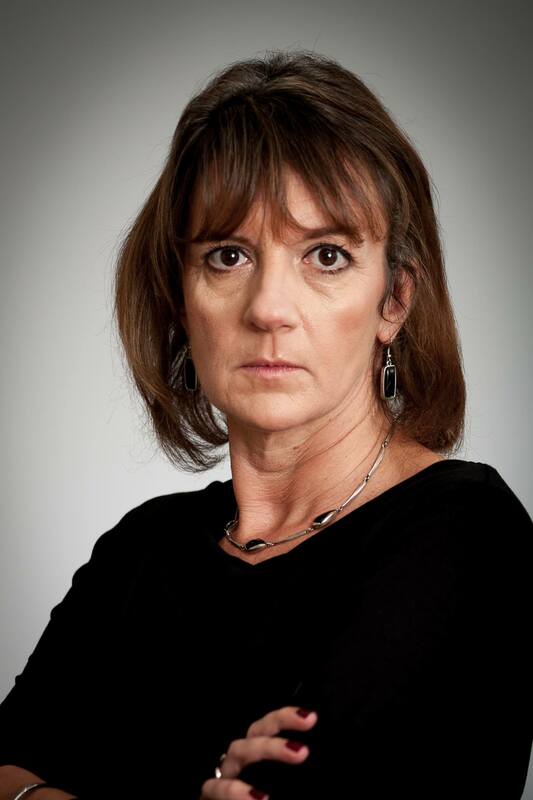 When I started writing about Customer Service after years of exasperation with the increasing tide of mediocrity, I never thought in a million years that the Queen of Consumer Rights herself would one day be writing a guest post on the Lady Janey blog! 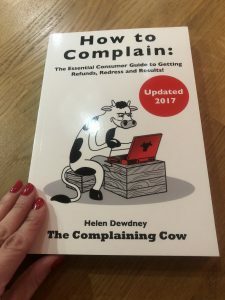 But following one of the most exciting interviews and most successful giveaways to date, here it is, 10 top tips as to how to complain effectively by Helen Dewdney, The Complaining Cow. Plus a chance to order your own personalised, signed copy of Helen’s book with an amazing 20% off! Writing the perfect letter/email means that the reader will be grateful to you because it has made their job easier! Truly, when people write unclear letters and don’t state what they want it makes it much more difficult for the reader to work out what they want and can delay things as more correspondence ensues. Clarity! It is essential that your correspondence reads well. Use paragraphs, no text speak and be grammatically correct. If writing isn’t your strong point ask someone to check what you’ve written and help. If your letter/email isn’t written well the reader will make judgements about you. For example, s/he will think that if you can’t write well then you are unlikely to take the matter further, such as the Small Claims Court and if you did the judge would not be sympathetic if s/he has to take longer than necessary to read evidence and ask questions. Be assertive. State your case objectively writing only about facts. Don’t be rude or swear and don’t be sarcastic. Tempting as it may be, it will not help your case as the reader is less likely to feel sympathetic towards you. Don’t write in capitals, it is difficult to read and rude. Chronological order. 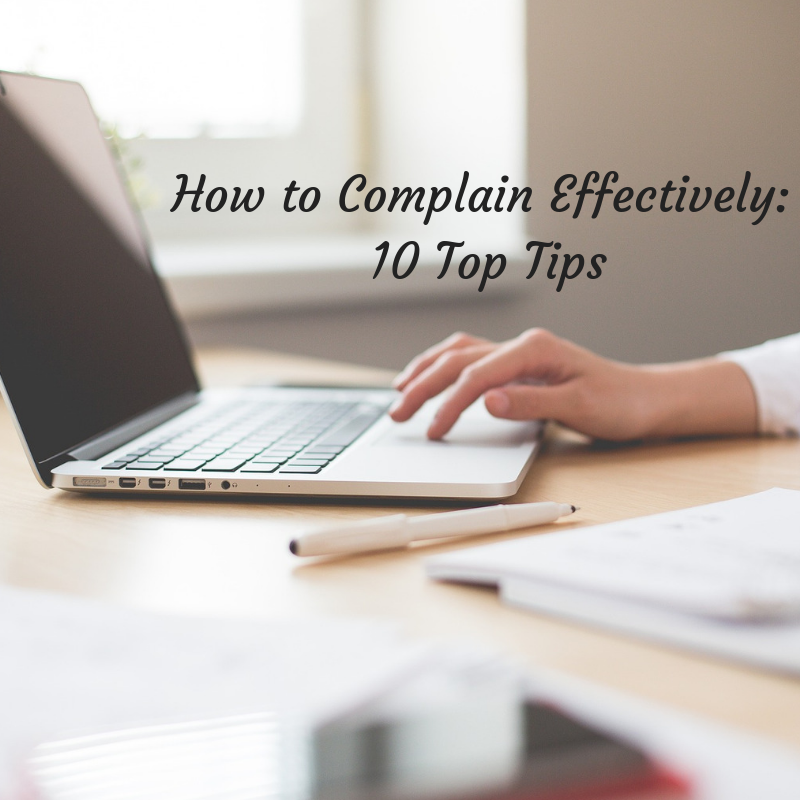 If your complaint includes writing about more than one event/piece of correspondence/phone call etc., write your letter/email in that order. Write to customer services in the first instance. If you do this and you aren’t satisfied then you can go higher up to the CEO. If you go straight to the CEO it is possible that it will go straight back down to customer services delaying any response. Go to CEO. If the matter is serious or you are not happy with the response from customer services complain to the CEO. You can find the contact details for CEOs by clicking on this link. Evidence. This is so important. Provide all the evidence that you can, copies of correspondence, photographs of damaged goods, logs of phone calls etc. This helps prove your case and will be enormously helpful should you need to take the matter further to an Alternative Dispute Resolution scheme or the Small Claims Court. Provide a summary. If your correspondence is long and detailed due to a complications/ongoing complaints then provide a summary at the end, bullet pointing the key points. The easier you make it for your reader the more likely it is that the reader will want to help you. Exercise your legal rights. Quote the relevant law. Quote the Consumer Rights Act 2015 if items are not of satisfactory quality, don’t last a reasonable length of time or don’t match the description. You are also entitled to services to be carried out with reasonable skill and care under this law. There are many other laws that may be relevant too. State what you want. Be clear about what you expect. Apology? Explanation for mistakes, misinformation, poor service etc. Refund, repair or replacement? Redress for inconvenience caused? Inform them of next steps if not satisfied. Give them a deadline by which you expect a response (usually seven days) and state what you will do if you don’t hear by then. End your correspondence with “If I am not fully satisfied with your response I will not hesitate in taking the matter further which will include but not be limited to…” Then fill in the dots! This could be taking the matter to Trading Standards, sharing on review sites/social media, going to the relevant ombudsman or small claims court. Only mention the media if it is a big story and something a bit different, no company is going to care about your threat to take your story about a broken kettle to the papers! I’m sure just these tips alone will be useful to you but there are EVEN MORE inside Helen’s fabulous ‘must have’ book ‘How to Complain: The Essential Consumer Guide to Getting Refunds, Redress and Results!’ Last month’s giveaway may have ended but panic not, you can still order your very own signed, personalised copy direct from Helen’s website The Complaining Cow by clicking this link and if you enter the discount code Janey20 at checkout you’ll receive a fabulous 20% off! Please do share this post if you can. EVERYONE needs a copy of this book! Thank you to Helen for sharing her top tips for effective complaining in this guest post and for the fabulous discount on signed copies of her book. There’s loads of useful info on The Complaining Cow website itself and you can also find Helen on Facebook, YouTube. Pinterest and Twitter. Yes that’s the best way forward Sharon. Think it but don’t say it.